Baby Greens RI - Growing sustainably produced gourmet salad greens. 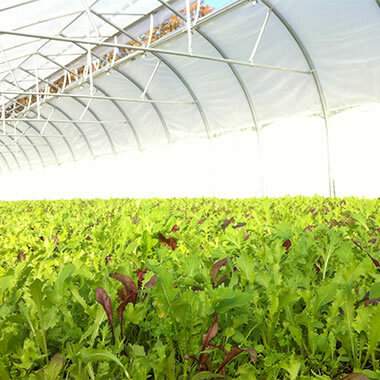 Baby Greens Farm grows sustainably produced gourmet salad greens without chemicals or poisons in our custom designed energy efficient greenhouses in Saunderstown, RI. 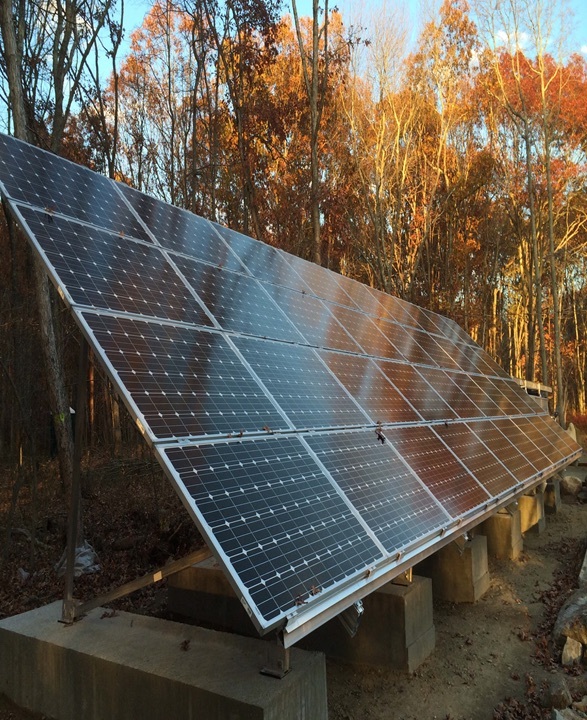 We produce our own photo-voltaic electricity to power our farm site and delivery vehicle. We also plan to develop summer farm workshops teaching sustainability for kids, who, by the way loving eating our Baby Greens. We are working to design a better future for our kids! Jeffery has perfected our menu with an array of local artisanal foods which complement our greens. We call this special farm to table service Baby Greens Al Fresco and it's year round with free delivery! It's fast food that's good for you! Ready to begin your Baby Greens Al Fresco Subscription? Still time to order free home delivery! Thanks to RI Renewable Energy Fund! Baby Greens continues to be a true enjoyment to us & the kids :) Our 2 boys are so excited to find our 'special delivery' each week & dig into the fresh bread instantly...they gobble up the salami & even the goat cheese in salad or on french toast has become a all time favorite. We thank you for making local & healthy things to eat a part of our families lives! Baby Greens are deliciously fresh, have great variety, and are delivered to my door ever week by Jeffery. That’s a true gift today. We love our salads made with other local goodies he delivers: goat cheese, craisins, and locally-processed almonds that snap with crunch when you eat them. Once, and only once, I put a bowl of almonds out for guests. One guest proceeded to eat the entire bowl, not saving even one almond for anyone else! We now order a double bag of almonds so we can share. Thanks to Jeffery and his 'home delivery' of Baby Greens (year-round! ), our kids love salad and all those mixings. Jeffery offers a seasonal array of fresh vegetables, fruits, eggs, herbs, bread, cheeses, and lots more to keep your whole family happy and healthy. Don't miss out! We have been eating and loving Baby Greens for at least 7 years. Fresh, organic, delicious, and delivered to your door–what more could you want? Local bread, eggs, and coffee, that’s what! You could live on what Jeffery delivers, and you’d be much better off for it! Sign Up For Your Al Fresco Subscription Home Delivery Today!